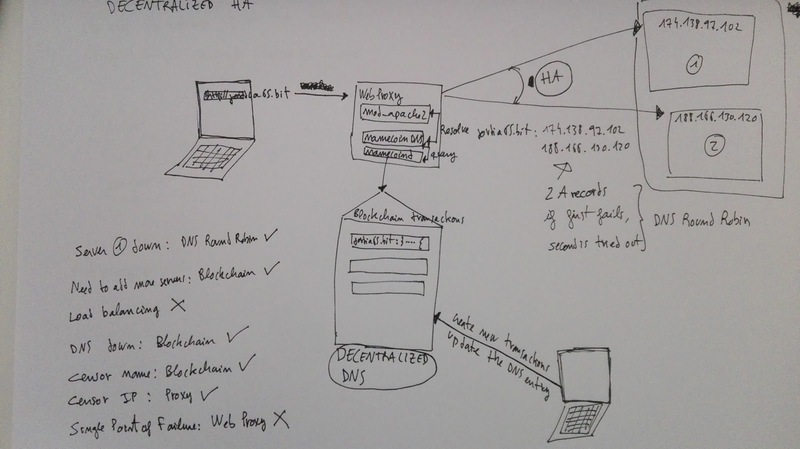 Last week was Hackweek 0x10 at SUSE and I worked in this idea about how we could have a web available, even in the most difficult scenarios, i.e. on a DDOS Massive Attack on the DNS. I've been playing with different ideas until I came across namecoin, a decentralized DNS based on bitcoin technology. 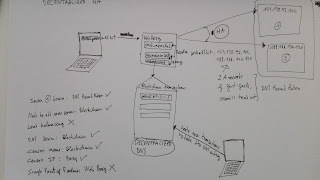 Then, I had this idea about combining it with DNS Round Robin for High Availability, and so have Decentralized DNS Round Robin for High Availability, or in short, Decentralized HA. Thus, I downloaded the namecoin daemon and namecoin clients from namecoin.org and started syncronizing the blockchain network... which was terrible slow, 48h! In the middle of that I got impatient and I just bought the "namecoin domain" jordia65.bit from peername.com, which will add such domain into the blockchain for you (kind of a service proxy if you can't wait for the whole blockchain to be downloaded). Anyway, after buying the domain, they also gave me good support, as my request was a bit special. I didn't want just jordia65.bit to map into an IP address, but to map to 2 IP adresses, to mimic what I would do with a classic DNS Round Robin setup, which would be to have at least 2 A records. The 2 IP addresses are real servers running in a cloud. Actually they are floating ip addresses, but that is another story. With that, I was able to put down one of the servers and firefox redirected me to the other one automatically. And the whole beauty of this, is that this does not require a central server for storing neither the domain name nor the list of IP addresses to balance, and this list can also be updated on a decentralized way. Since setting up all this can be a bit difficult for a "regular user", I also did some tests on setting up an http proxy, with apache2, so that the proxy will be the one trying to resolve the jordia65.bit domain ... and it worked :) ! Also the HA part. Thus, you could set up your firefox to use that proxy and you would be able to browse .bit domains with high availability. However, as you may have guessed, adding a proxy has a drawback, which is that it introduces a "single point of failure". 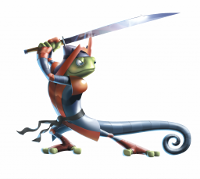 If the proxy is taken down, you would not be able to reach any internet at all. (*) Actually it seems nmcontrol has been deprecated in favor of https://github.com/namecoin/ncdns , but nmcontrol was easier to hack. Ruby gems security issues: Have hackers lost their interest? Security issues on rubygems have decreased over time, from 93 in 2013 to 8 in 2017 (expected). Is it because ruby programming community has gotten more mature? Are developers better? Or is it that hackers and researchers have lost interest? From time to time I need to some tweaking of our packages and then I need a simple package that builds lightning-fast in order to test stuff. Feel free to "fork" it. I am working on a coworking space from la Selva del Camp, a small village 100 km south from Barcelona. Why can’t you do the same?